We were thrilled when RW Events, LLC invited us to do the flowers for this photo shoot at the Florida Federation of Garden Clubs. 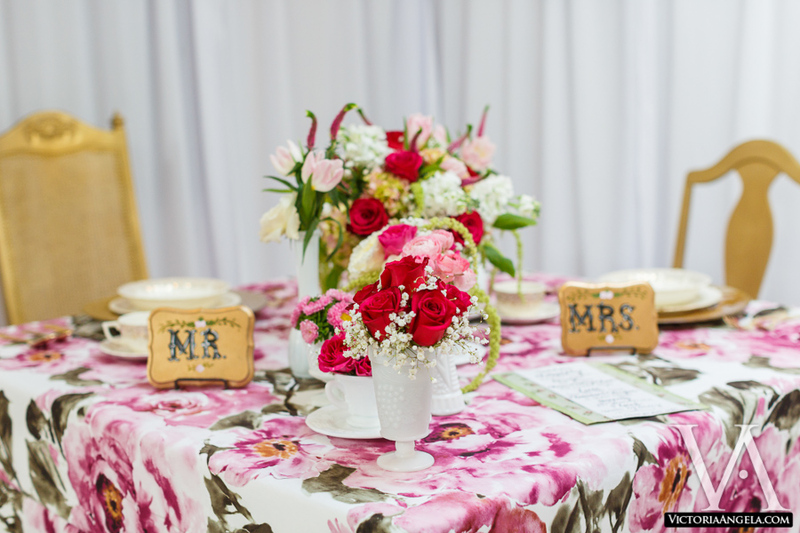 Victoria Angela Photography did an wonderful job capturing all the details! 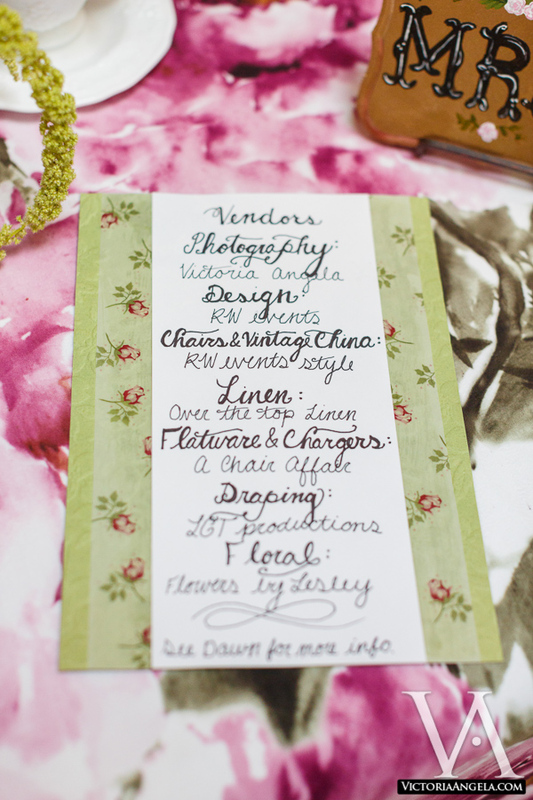 How clever was it of RW Events, LLC to display this lovely vendor list? 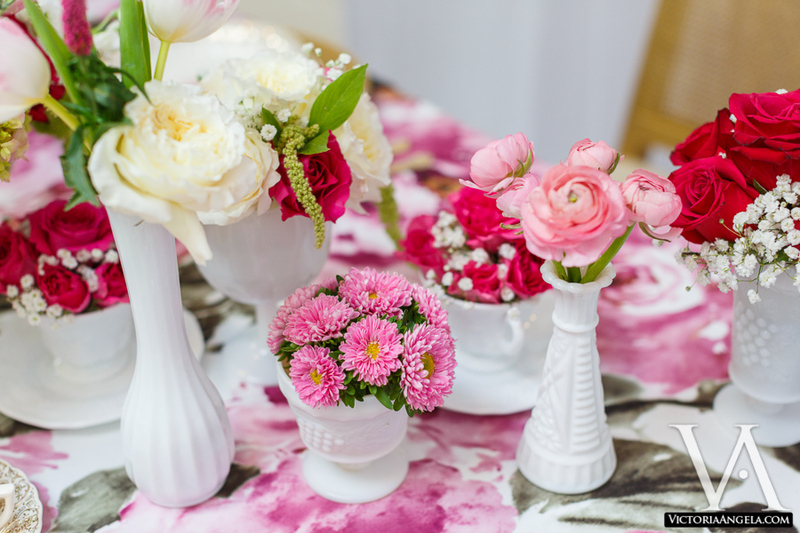 Assorted milk glass held arrangements of tulips, white stock, roses, ranunculus, baby’s breath, green hanging amaranthus,veronica, garden roses, matsumoto, and pink hydrangea, captured by Victoria Angela Photography. 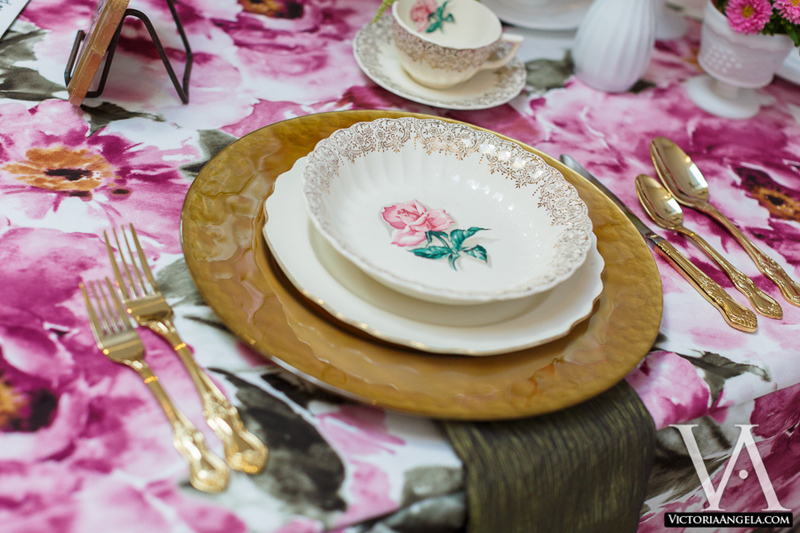 These hunter green napkins from Over The Top Rental Linens and gold chargers from A Chair Affair, Inc. finish off the place settings from RW Events, LLC nicely. 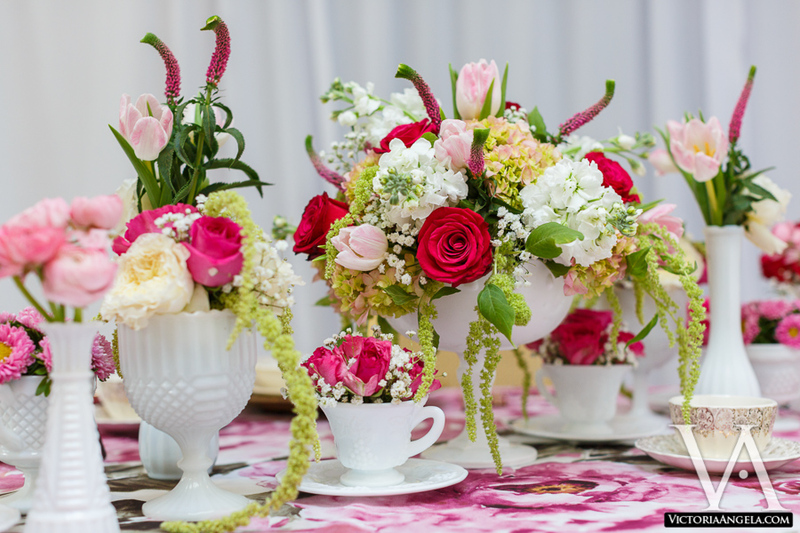 The various size of arrangements add romantic charm to the table.